It is a requiem for more than 1500 lost souls. On the night of 14 April, a century after the Titanic hit an iceberg and sank, the lost will be remembered with haunting music. Composer Philip Hammond has been carrying the precious cargo of a requiem in his head for more than three years - from Portland, Oregon, to Croatia and back home. It towers over the lough and mirrors the size of the original boat, billed "unsinkable" as it swept proudly out of Belfast, headed for Southampton and on to New York on its maiden voyage in 1912. Hammond grew up in east Belfast under the eye of Goliath - the shipyard was part of his childhood, he remembers the Canberra, the last big liner to have built there, sailing down the lough. 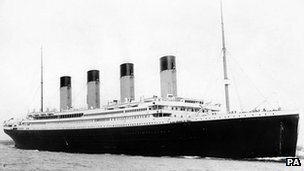 Now the Belfast composer's Requiem for the Lost Souls of the Titanic will be staged at St Anne's Cathedral on the 100th anniversary of the tragedy. "It is part of history and it is part of who we are," Hammond said of the Titanic disaster. "I have spent three years putting the requiem together and it has developed into six choral movements and five musical meditations. "These are a reflection of the musicians who stayed for the last moments and went down with the ship. "No-one really knows what the musicians played and it is subtle," he said. He has taken a phrase from different versions of the hymn "Nearer my God to Thee" which so many people associate with the final dying moments of the ship and its passengers. Hammond has also used Irish folk songs from the 1792 Belfast Harp Festival, including the Lamentation of Owen O'Neill and A Parting of Friends. 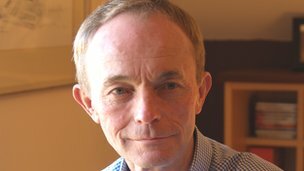 Writer Glenn Patterson will read his own meditations on those who were on the boat - like the radio operator who kept sending out the same distress message again and again, until the last moment, when he and his friend jumped. He survived: his friend died. "These thoughts about the people complement the musical meditations," said the composer. Requiem for the Lost Souls of the Titanic is set to words from the original Latin Requiem Mass. It will be sung by Belfast Philharmonic Society; Anuna; Schola Cantorum of St Peter's Cathedral, Belfast and Cappella Caeciliana. Brass instruments drawn from the Downshire Brass Band will be used. In an Italian technique dating back from the 15th century, the choirs and instruments will be positioned in different parts of the cathedral, echoing and answering each other across the stone pillars and spaces of the old building and down the years. The cathedral itself will be part of the story, with seating rearranged to resemble the seating on a boat. It will be specially lit for the occasion and after the requiem, a torchlight procession will walk to the Titanic Memorial in the grounds of Belfast City Hall. The requiem will be repeated in St Peter's Cathedral, Belfast, the following morning as part of an actual Mass. Philip Hammond wrote his requiem with two people in mind. He dedicated it to Roz Levine who was 95 years old when she died in Portland, Oregon, and to Miriam Agee, the daughter of a colleague, who died aged four years old. It is a requiem dedicated to a very old person and a very young person, he said. But it is in memory of all those who died 100 years ago and all those other souls - the lost who survived but whose lives were forever caught up in the wreckage of the disaster. Tickets for the requiem in St Anne's are available from the Belfast Welcome Centre, telephone: 02890 246609 . Admission to Requiem Mass at St Peter's on Sunday at 11am is free. This is one of a series of events in the Titanic Festival of Creative Arts 2012. The Lyric Theatre will be presenting White Star of the North from 24 March to 14 April, telephone 02890 381081 . Kabosh Theatre company will present A Better Boy at the Belfast Barge from 9 - 15 April, details from the Welcome Centre. Titanic Toasts is an exhibition at the Golden Thread Galley from 10 April to 11 May. On Thursday 12 April, Song and Dance from Edwardian Belfast will be performed at the Public Record Office NI. Email sheila@happen.co.ukfor information.